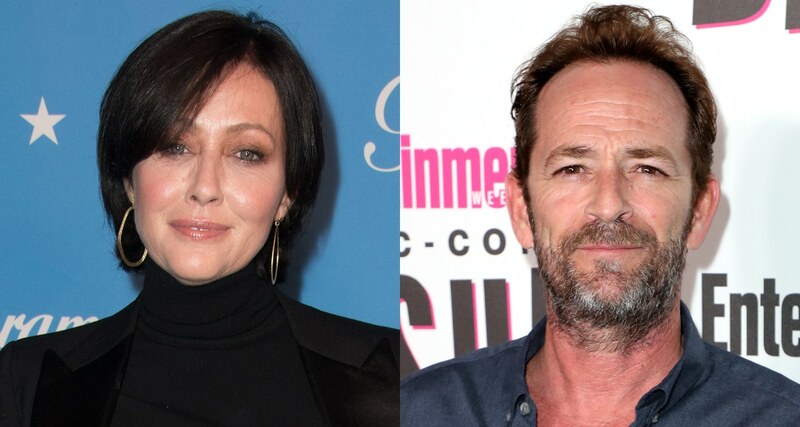 Luke Perry died on 4th March, and this has come as a surprise to his friend and his cast mate Shannen Doherty, who is devastated over the news. “I am in shock. Heartbroken. Devastated by the loss of my friend. I have so many memories with Luke that make me smile and that are forever imprinted on my heart and mind,” Doherty, 47, exclusively tells PEOPLE about Luke Perry. “I have so many memories with Luke that make me smile and that are forever imprinted on my heart and mind,” Shannen Doherty says about Luke Perry. Shannen Doherty starred alongside Luke Perry on Beverly Hills, 90210 for several years. Beverly Hills saw Doherty as Brenda Walsh and Luke Perry as Dylan McKay. Although the co-stars eventually drifted apart after the series ended, they reconnected after Dohery went public with her breast cancer diagnosis in 2015. “Luke was a smart, quiet, humble and complex man with a heart of gold and never-ending well of integrity and love. Luke reached out to me during my cancer journey and we picked right back up, albeit older and wiser, but that connection remained in tact,” says Doherty, who opened up about being in remission in September. The duo wasn’t signed on to return on the forthcoming Beverly Hills reboot alongside their original cast. However, both hoped to work together again on something “special” for fans. During the time they spent with each other, Doherty remembers how fondly Perry spoke of his two children. His 21-year old son, Jack and 18-year old daughter Sophie. Weeks before Luke Perry’s death, he met Doherty over lunch, which is her last memories with Perry. Luke Perry suffered a stroke on February 27, supposedly Luke Perry’s cause of death, according to sources, he never gained consciousness. He was under observation for almost five days, but passed away on March 4. “A couple of weeks ago in February, Luke and I met up for lunch. He chose the restaurant based on who would allow his dog,” says Doherty.